Kanaka Dasa (1509-1609) was a great poet musician of Karnataka, in the tradition of Purandara Dasa. He belonged to the Kurube Gowda community, who were warriors. He later turned to the Haridasa tradition and became a poet who composed beautiful lyrics in Kannada. Kanaka Dasa’s original name was Thimmappa Nayaka. His parents were Biregowda and Beechamma, and he was born in the year 1509. He was a contemporary of Purandara Dasa, though a little bit younger. When he was a young man, he was defeated in a battle and mortally wounded, but he was miraculously saved. This incident led him to give up his profession and he turned his mind towards a spiritual path. 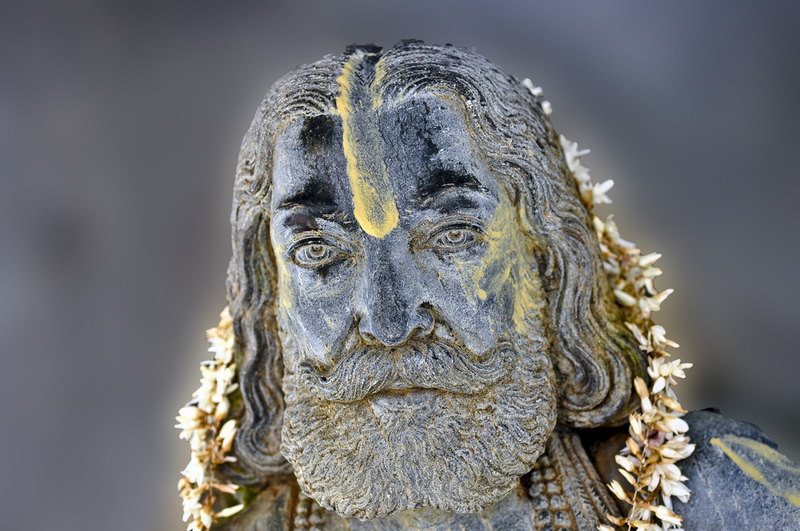 He joined the Haridasa tradition and was renamed Kanaka Dasa by his spiritual master, Vyasaraja. Kanaka Dasa composed beautiful literary works in Kannada. He was a poet-composer, a religious and social reformer, and a devotee of Lord Vishnu. He was a social reformer who lashed out at the evils of society, like the caste system and the divide between the privileged and the poor. Kanakadasa’s writings not only touched devotional but also social aspects. In fact, his Ramadhyanacharitre is an allegorical work depicting the divisions between the rich and the poor. Traditionally, in Karnataka, rice was the staple food of the rich and raagi was the food of the poor. Though rice was once noted as the rich man’s food, it lacks nutrients, while Raagi is a healthy food that’s rich in nutrient value. In his interesting literary work, the two food grains go to Lord Rama and ask him to settle their dispute – and tell them who among them is superior. Shri Rama sends them both to six months in prison. At the end of that period, the rice has become spoilt, while the hardy Raagi still remains healthy. This is said to be a representation of the conflict between the rich and the working class. His Nalacharite is a beautiful composition retelling the story of Nala and Damayanthi which appears in the Mahabharata. 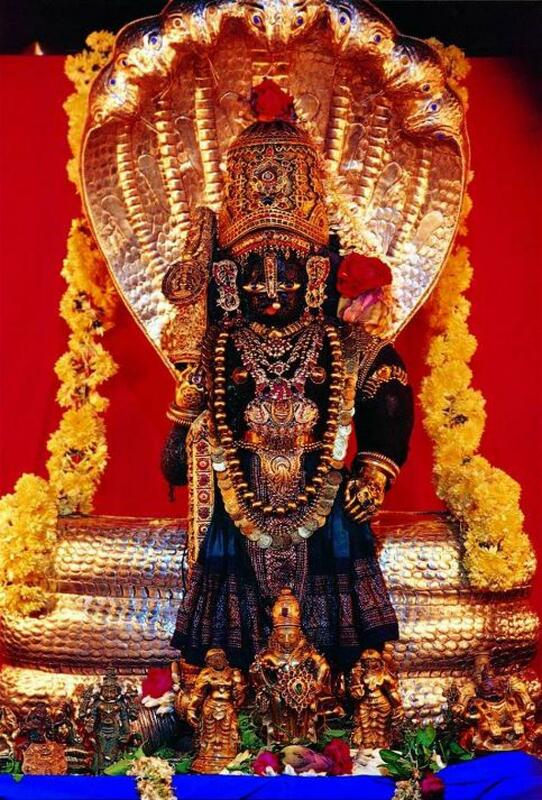 His Narasimastava is a wonderful composition on Lord Narasimha. The Mohanatarangini tells the story of Sri Krishna’s life with his wives and the story of Krishna’s grandson Aniruddha’s love for Usha, the daughter of Banasura. The Mohanatarangini is mainly set in Dwaraka. But the descriptions of the city of Dwaraka match the descriptions of Vijayanagara as given by foreign travelers. This makes the reader feel that he was describing a contemporary event. Kanaka Dasa was not just a social reformer and a great composer; he was mainly a devotee of Lord Narayana. He was a disciple of Vyasaraja of Udupi. 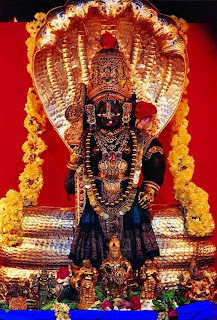 He longed to visit the Udupi Krishna temple and have a Darshan of the Lord, but the narrow minded priests would not allow him inside the temple as they considered him to be of inferior birth. Kanaka Dasa was distraught and expressed his anguish to Sri Krishna. Immediately, the temple wall collapsed on one side, a slit appeared in the Sanctum, the idol of Sri Krishna turned towards him and he was able to have a direct Darshan. The wall was later reconstructed, but a small window was built there to mark the place where the Lord gave Darshan to his anguished devotee. This window is called Kanakana Hindi – Kanaka’s Window. Even today, devotees have a Darshan of the lord through this window before proceeding to the main entrance of the sanctum. Kanaka Dasa was a radical poet, and his Kirtanas and Ugabhogas form part of the traditional recitations in Carnatic music even today. Legend has it that once Kanakadasa, a pious worshiper and devotee of Lord Krishna, was not allowed entry into the temple. It didn't upset him; instead it made him pray with intense devotion. Lord Krishna was so pleased that the statue turned back to where Kanakadasa was praying, and the wall before Kanakadasa broke up to allow the disciple to gaze upon his heavenly form at the back of the mutt (monastery). Till today, devotees still worship Lord Krishna by praying through the same window that Kanakadasa was blessed with a view: It is known as Kanakanakhindi.